Antique Tan 3 Seater Chesterfield Sofa | Brown Tan Leather Chesterfield. The No.1 3 seater Chesterfield sofa in tan brown is a truly stunning handmade piece. Its timeless appearance will blend perfectly with dark wood furniture such as mahogany and in our tan colour really catches the eye. 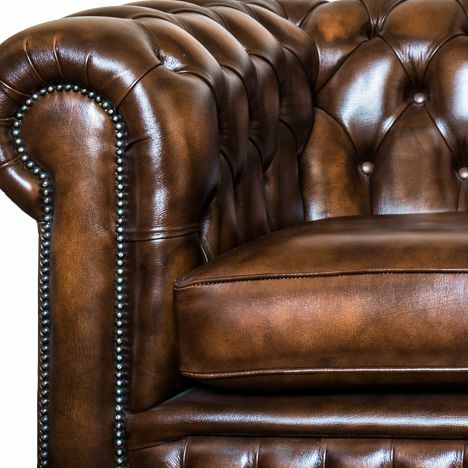 Once upholstered the brown tan dye is selectively polished away in certain areas to reveal subtle shimmering shades throughout which helps create a true aged look whilst being brand new. 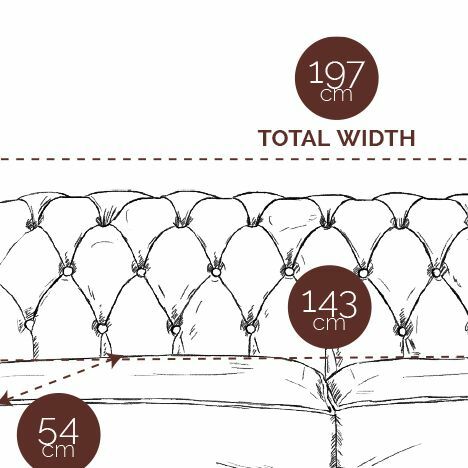 Timeless design and elegant upholstery create a stunningly authentic sofa fit for any home.